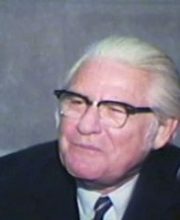 Maxwell Maltz was a cosmetic surgeon, in addition to being a researcher and author who explained how self-image has complete control over an individual’s ability to achieve any goal. The original book became an instant bestseller and made Dr. Maltz one of the most in-demand motivational speakers throughout the 1960’s and the early 1970’s. His ideas were revived by Matt Furey in the Psycho-Cybernetics: Updated and Expanded edition. By visualizing one’s goals, Maltz discovered that the self-image is the cornerstone of all changes that take place in a person. Cybernetics has to do with teleology – the goal-oriented behavior of systems. Its focus is on how anything (digital, mechanical or biological) processes information, reacts to information, and changes or can be changed to better accomplish desired goals. Cybernetics comes from the greek words, a steersman who sails a ship to port. Psycho-cybernetics means steering your mind to a productive, useful goal in order for you to reach your port too. And what is this port? Peace of mind, and a successful life on your own terms. Why is self-image so important? "The self-image is the key to human personality and human behavior. The self-image sets the boundaries of individual accomplishment. It defines what you can and cannot do. Expand the self-image and you expand the area of the possible." The fundamental lesson of psycho-cybernetics is that you have a self-image and that you can change your self-image. At any age, you can learn the knowledge that negative feelings can make your image shrink dramatically. Maltz found that his plastic surgery patients often had expectations that were not satisfied by the surgery. This concentration on inner attitudes was essential to his approach, as he discovered that a person’s outer success can never rise above the one visualized internally. You can use your imagination either constructively or destructively. You are the product of your imagination. What you learned in childhood makes up your beliefs and you start to act accordingly. The advice is to turn your back on the failures of the past and to concentrate on the confidence of yesterday and use that confidence today, in your present undertaking. A mistake doesn’t make a failure: focus on your accomplishments instead. The secret of reaching self-fulfillment and success as a human being is by remembering only this:it is the opinion and image of yourself that counts. If you think well of yourself, and have the confidence of the memory of an accomplishment, you will succeed. For example, as an adult, we can easily pick up a pen, compared to a child that zigzags with trial and error until they learn to successfully pick up the pen. If you want to achieve a goal, you have to call upon your past successes. If you call up your past failures you fail, even before your start. It’s impossible to think positive with negative feelings. You have a “Success Mechanism” within you, a self-serving mechanism that will steer your mind to a productive goal—if you let it. "The real curative agent was the removal of emotional scars, the security against social cuts, the healing of emotional hurts and injuries, and the restoration of a self-image as an acceptable member of society." Our self-image may be flawed. Emotional scars lead to the development of a scarred and bruised self-image, and prevent us from creative living. Furthermore the person with emotional scars not only has the self-image of a disliked and incapable person, they also have a hostile relationship with the world, instead of one based on giving, accepting, and cooperating. Be too big to feel threatened. We are hurt by those things we see as threats to our ego or self-esteem. The cure for self-centeredness, self-concern, and all the ills that go with it, is the development of a healthy, strong ego by building up self-esteem. Forgiveness, when it is real and genuine – and forgotten – is the scalpel that removes the pus from emotional wounds, heals them and eliminates the scar tissue. Forgiveness is not difficult, as long as we are willing to give up the condemnation of another and ourselves. And last, relax away emotional hurts. Scientific experiments have shown that it is absolutely impossible to feel fear, anger, or negative emotions while the muscles of the body are kept relaxed. “No man is hurt but by himself,” said Diogenes. You can remain relaxed and free of injury. More on this below. "It has been amply demonstrated that attempting to use effort or willpower to change beliefs or to cure bad habits has an adverse, rather than a beneficial, effect." We cannot arrive at creative thoughts by making a conscious effort. We block ourselves with strain or by exerting mechanical willpower. Creative performance is spontaneous and natural, as opposed to self-conscious and studied. Athletes and top performers are at their best when completely in relaxed control of the situation. Stress only makes things go worse and makes us perform below average. Instead, focus on the process. Give your subconscious mind a task and then leave it with the job. Don’t go and interfere with your “Creative Mechanism,” but let it work by itself. It’s important to visualize the desired end goal beforehand and let your Creative Mechanism work with it. Too often we try to solve problems with conscious striving, where we think “we” can solve the problem. Do you know how to steer your body to pick up a pen or how to hold and use your smartphone? No, you just give instructions and let your body handle the rest, you don’t interfere with the process but let it emerge naturally. Our system has learned from previous trial and error and by using negative feedback until we found a way to handle things in a successful way. Relax and have faith in your own nature. A worthwhile goal of living is to rise above mistakes: that is what success is. It is our capacity to rise above a failure, by using our imagination constructively. I can highly recommend this book. I want to invite you to reserve judgment for 21 days and experiment with these ideas for yourself. In plastic surgery, it takes about 21 days for the average patient to get used to his new face. I am still carrying this book with me on a daily basis. By reading this book I underwent a surgery myself. I am still learning and trying to integrate these ideas. I’m delighted by the results so far. How are you taking action to improve your life everyday?